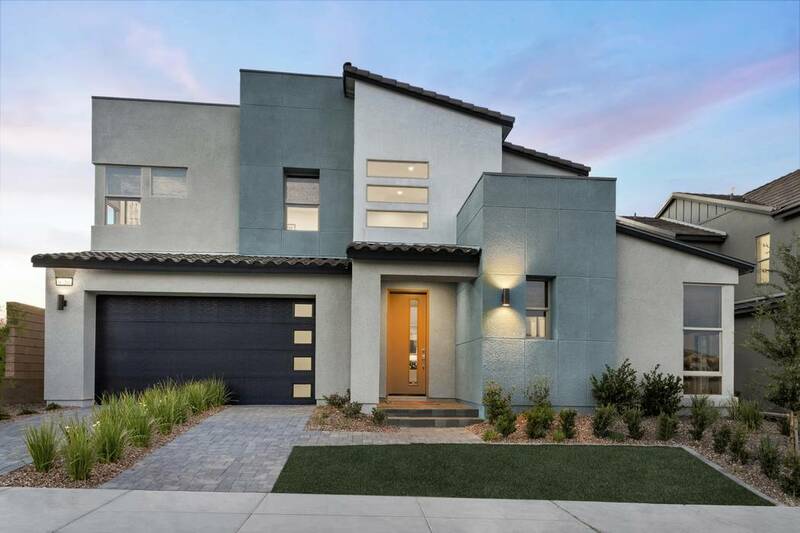 Pardee Homes’ new home neighborhoods that opened in 2018 reflect a theme of “Next Level Modern” for Southern Nevada’s legacy homebuilder. In Henderson, Pardee added two new neighborhoods in 2018, each featuring modern, two-story designs. Linea, priced from the mid $300,000s, is in the master-planned Inspirada community; while Corterra, priced from the high $400,000s, is off of Horizon Ridge Parkway, east of Valle Verde Drive, and features designs from celebrity designer Bobby Berk. The builder also added to its collection of homes in The Cliffs village within Summerlin with the opening of Terra Luna, a showcase of modern floor plans in one-, and two-story designs and a distinct neighborhood environment. Homes at Terra Luna are priced from the mid $500,000s. In North Las Vegas, Pardee Homes finished the final homes in its signature Eldorado master-planned community after nearly 30 years of sales. New home development continues just north in The Villages at Tule Springs where the builder’s Larimar and Blackstone neighborhoods showcase modern one- and two-story floor plans from the high $300,000s and low $400,000s. Another 2018 addition is Indigo, located off Revere Street, south of the northern 215 Beltway. Indigo is a collection of modern two-story floor plans priced from the low $300,000s. In the active-inspired Skye Canyon master-planned community, Pardee’s new Onyx neighborhood offers modern, spacious two-story homes priced from the high $400,000s. “Since 1952, Pardee Homes has led the way in Southern Nevada with new designs and new communities and we’re leading the way again with our collection of modern designs at 13 active neighborhoods with price points that start from the high $300,000s to more than $1 million,” said Division President Klif Andrews. According to Andrews, 2019 plans include new neighborhoods in Inspirada and Summerlin, a new neighborhood adjacent to its existing luxury Axis community off of Green Valley Parkway in Henderson and two new neighborhoods in southwest Las Vegas, including the introduction of new town home designs. For more information, visit www.pardeehomes.com or call 702-602-9684. New Home Gallery hours at Pardee Homes’ Las Vegas Valley neighborhoods are 10 a.m. to 5 p.m. Tuesday through Sunday and 2 to 5 p.m. on Monday. Pardee Homes Las Vegas builds thoughtfully designed and innovative new homes and communities for first-time through luxury homebuyers. Established in 1921, Pardee Homes was among the first to embrace master-planned community concepts, green homebuilding measures, environmentally sensitive development practices and customer-focused processes for new home purchases. Pardee Homes Las Vegas has built more than 40,000 homes throughout Southern Nevada in the last 65 years and has earned scores of design honors, including most recently 2018 Nationals Silver awards and 2017 Nationals Gold awards by the NAHB National Sales and Marketing Council; 2018 and 2017 Gold Nugget awards by PCBC; and eight 2018 Silver Nugget Awards by the Southern Nevada Home Builders Association. It was also awarded a 2018 Eliant Homebuyer Choice Award. Pardee Homes is a member of TRI Pointe Group, a family of premium regional homebuilders. For more information about Pardee Homes Las Vegas, visit www.PardeeHomes.com/Region/Las-Vegas.